Refresh and rejuvenate your spirit with a getaway to the Coronado Island Marriott Resort & Spa. Away from the crowds, on the quiet side of Southern California’s famed Coronado Island, this secluded hotel possesses a certain life-altering energy, capturing the true essence of the area. Settle in to your luxuriously designed room or suite, which offers everything you need to feel at home - including oversized tubs, pillowtop beds and premium bath amenities. Visit Current, the hotel restaurant, for delicious cuisine sourced locally from the San Diego area. Indulge in a treatment at the on-site spa, and admire the awe-inspiring views. And take time to explore the area; rent a bike, bask on sun-filled beaches or take a trip into San Diego to visit Seaport Village or the famous zoo. Experience the Coronado Island Marriott Resort & Spa, and celebrate its special connection with the tranquility, comfort and relaxation of the sea. Coronado Island Marriott is offering rooms at a special discounted camp rate of $239 per night (plus tax and resort fee). 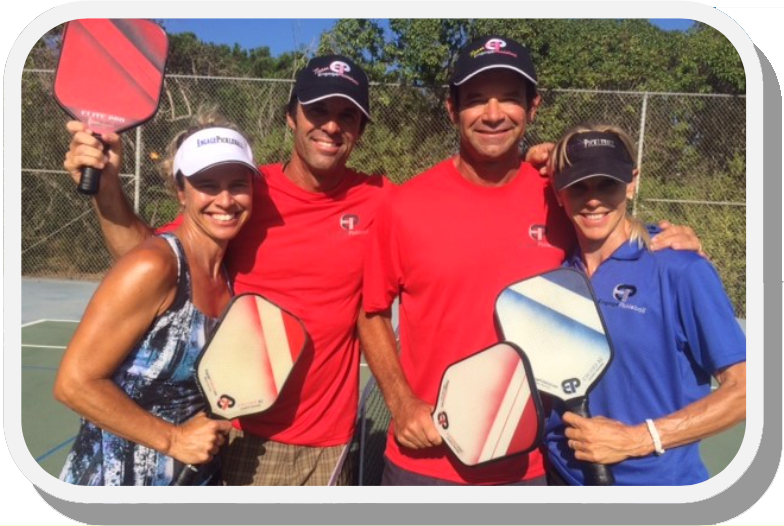 To reserve at this special rate, click here to book online or call Coronado Island Marriott Resort directly at (800) 228-9290 to hold room(s) on your credit card (mention "Brady Pickleball Camp" when making your reservation). Coronado Island Marriott will hold rooms at this special rate until April 11, 2018.